They are growing up so quickly, and bring such joy into our crazy family. Both of them are walking now and I cannot believe how fast they are just becoming little kids. No more babies in our house! 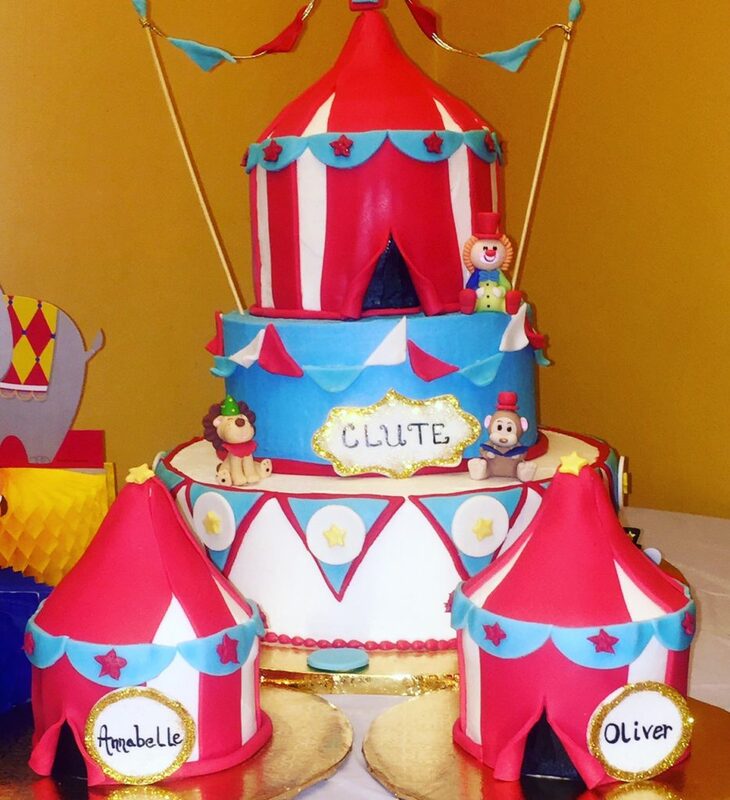 I wanted to share some of the decor and food ideas that I used to throw a circus theme party for our twins. 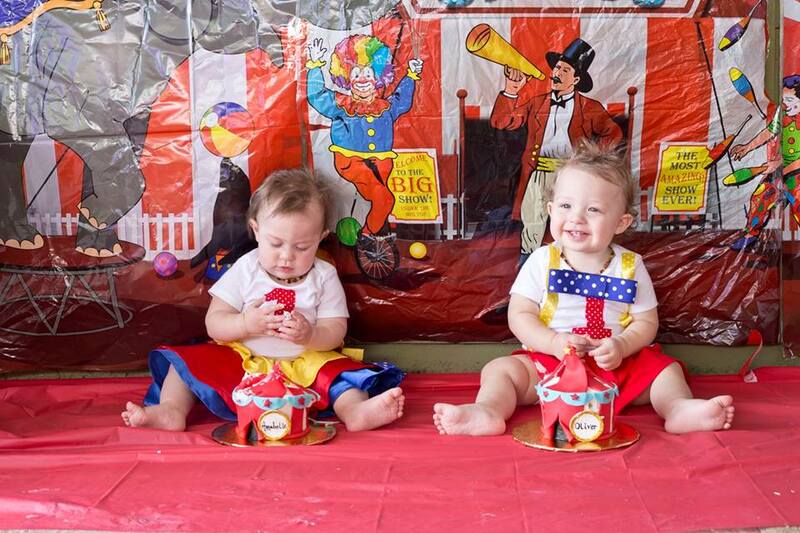 Twins First Birthday: It’s A Circus Around Here! 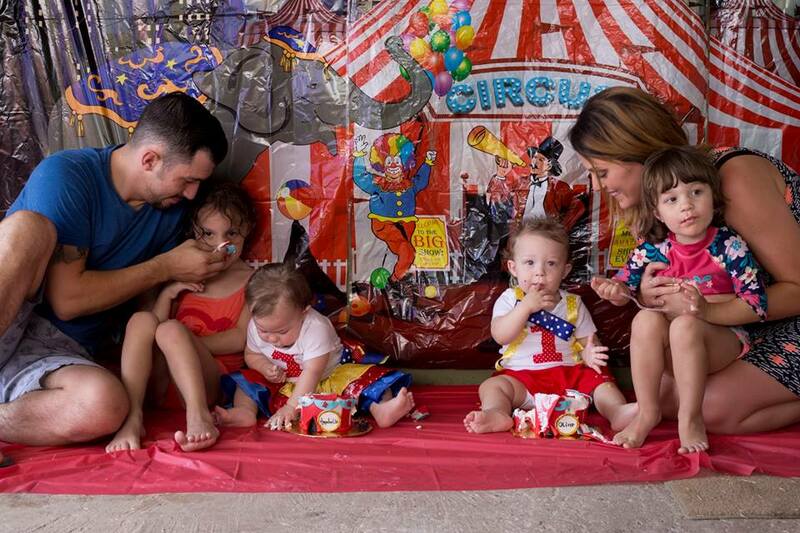 I really wanted to throw a circus/carnival themed party for them, because I always say that it really is a circus around our house with all four of our kids! On their actually birthday, we even took them all to the real circus too, which was a lot of fun. Amazon was my lifesaver for this party! I wanted to stick with a lot of the typical food you see at the circus or the carnival to fit in with the theme. Hot dogs and sausages- I picked up some real Hot Dog Trays off of Amazon that worked out really well. Cracker Jacks: Again, awesome when you buy in bulk like I did! Cracker Jack Original with Prize – 24 Bags 1 1/4 oz. Ea. Circus Peanuts, aka: the best candy ever! Then… there was the cake. One of my amazing best friends, who makes all of our cakes, made this cake and the smash cake for the twins. Oh my goodness, how amazing is this? The inside was even a rainbow swirl cake! Seriously, it was the best. Not to mention, the two smash cakes that she made to go a long with it. Check her out on Cakes Take Shape. My favorite part of the decor was the backdrop that we got for photos. It was super inexpensive for the size (about 8ft x 8ft), and it really worked well for all of the photos of the twins, the smash cakes, and just added a lot to our outdoor space! We rented a huge water slide for all of the kids in the backyard. It was HOT so this was a great way to keep them occupied. There was also a little baby pool set up for the little ones. Overall, I think the twins first birthday was a big success! The kids had fun, and it was something that we will all remember for a long time to come. How adorable! I love circus themed parties. 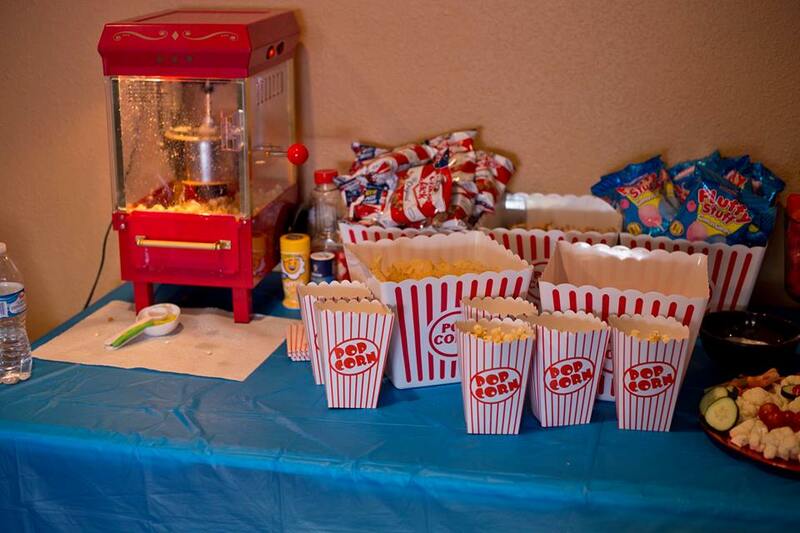 Those air pop corn poppers are awesome too. Pinned to my kids party page. Wow, what an adorable set up! 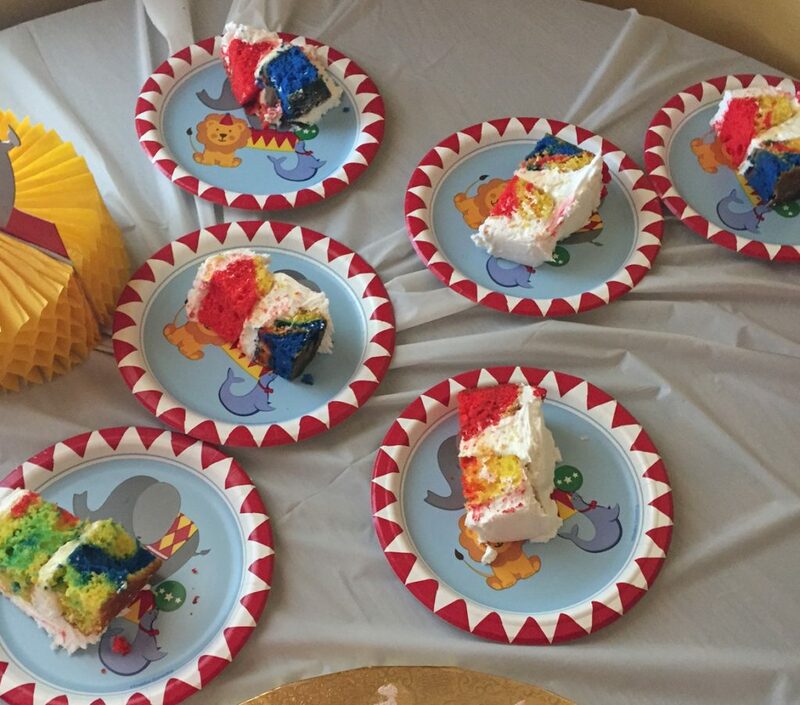 That looks like the best party a 1 year old could have. I love how everything turned out! 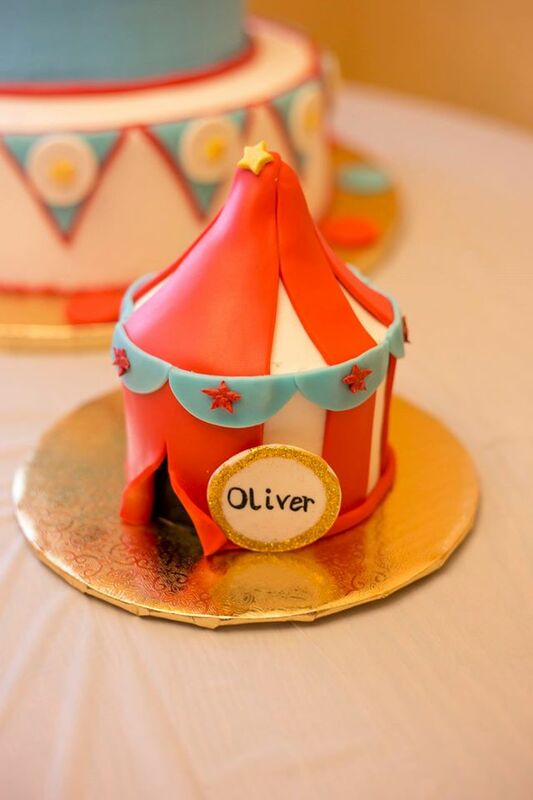 Circus snacks are so fun and I love the cake and mini cakes! I cant believe your sweet twins are 1!!!! Aren’t they the best? She is so talented at cakes… it’s amazing! Happy birthday to your beautiful babies! I looove all your food and decorations! So fun! And I also cannot believe how quickly this year is flying by, I as just think he same thing earlier today. I don’t know where the time goes?! 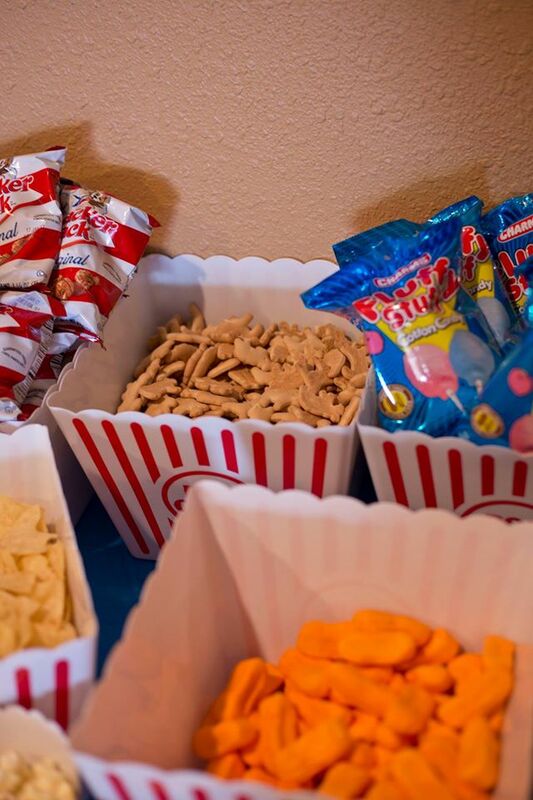 What a cute party idea! And those cakes are incredible. It looks like you all had so much fun. Happy birthday to Annablle & Oliver. I can’t believe they’re already one! What a fun birthday theme! 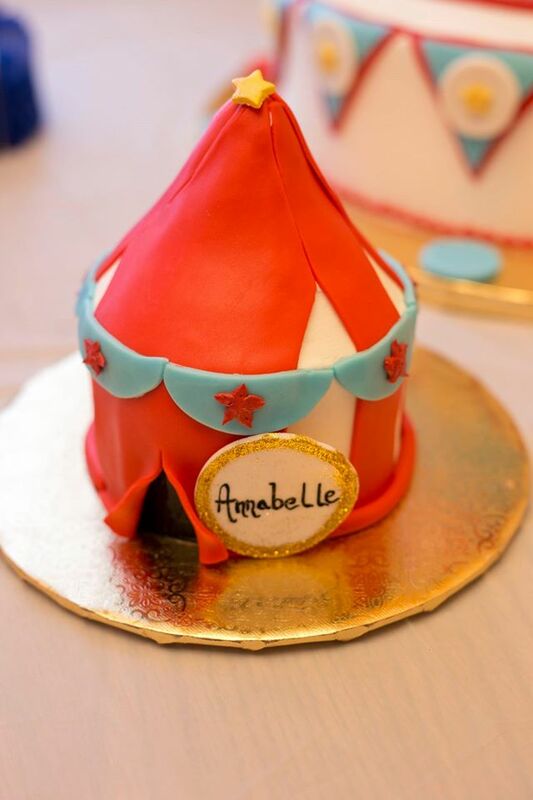 I love the little big top cakes! Omg what a cute birthday party theme!!! Happy birthday to your twins!!!! I can’t believe they’re already one! Happy birthday!